This entry was posted in Gallery and tagged animals, Bayonne, BIRD, d7000, Egret, f/6.3, fact, fishing, Fishing Bird, fun, got one, Great Egret, Interesting Fact, joke, Nature, Nikon, NJ, now that is fresh sushi, Photo, Photography, travel, wet, wildbird, Wildlife. Bookmark the permalink. Audubon began because of ladies fashions-feathered hats. That fish looks familiar. I think he’s a Pisces, working for Scale. 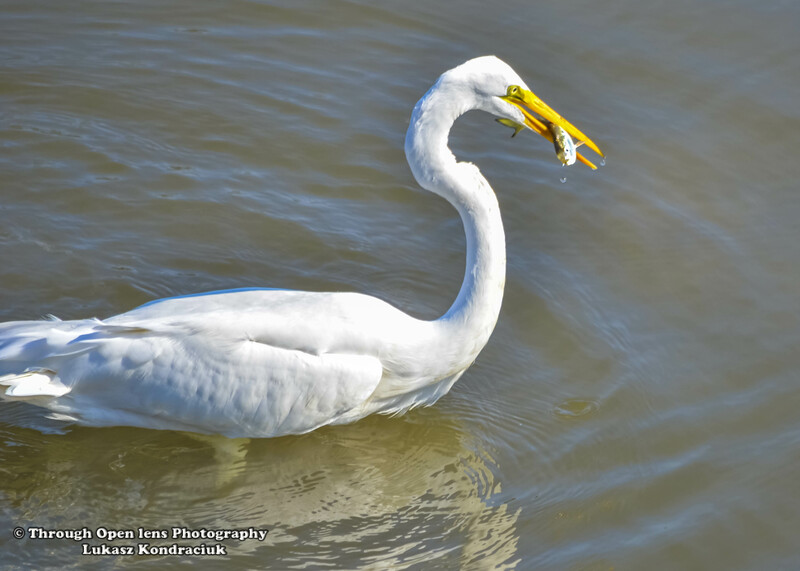 What a fantastic catch of the egret with lunch! Great title. You always bring a smile to my face. I love egrets.